I've just had a really lovely weekend. Saturday of course was the Royal Wedding. I missed the last Royal Wedding as I was attending to the needs of a demanding toddler, so I made it very clear to all that I intended to watch this one. 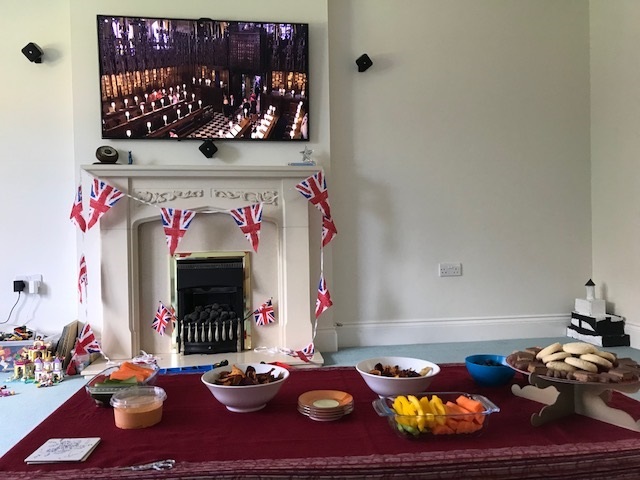 I put up some bunting, bought some posh crisps, cakes and biscuits, and settled myself down in front of the television with my cross stitch when the coverage started at 9 am. I was left alone all morning which was wonderful, I loved watching the guests arrive and admiring their dresses, seeing the flowers in the chapel, watching everyone enjoying the atmosphere. As the royals started to arrive the rest of the family joined me and we all watched the ceremony together (with a bit of wriggling from the little ones, kept in check with the table of snacks). Ram announced that he fancied a barbecue so he set off to Asda to buy what he needed (along with a cheeky can of Pimms for me) and he brought me delicious halloumi and veggie sausages as they were ready. After lunch I had a nap (just one can of Pimms is enough to make me a bit tipsy!) and then I went out in the garden with the children. We tidied up the pots ready to put some flowers in, and planted a few seeds that we found lying around in the garage. Then we sat out on sun loungers and enjoyed the glorious sunshine. On Sunday morning I helped Harry to make a Viking axe from cardboard. Every two weeks he has topic homework, homework that requires a little more effort based around their topic. I know that at some point he will be having a Viking dress up day, so I've been a bit sneaky and encouraged him to focus his topic work efforts on things that he can use as props. 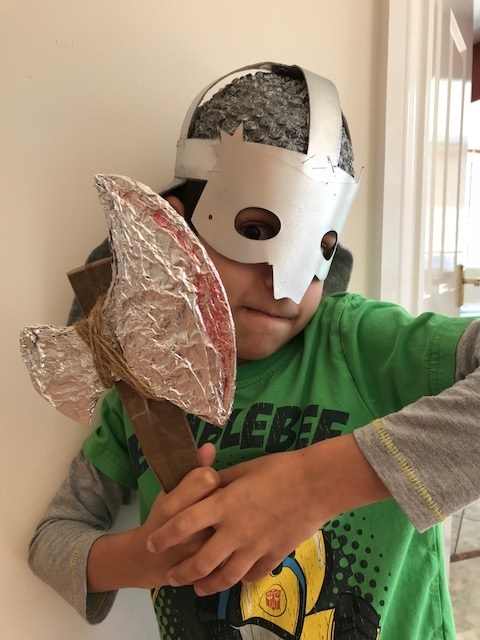 Two weeks ago we made a Viking helmet and now he has an axe, complete with 'blood'. We also made some bath bombs in preparation for Mia's party next week. 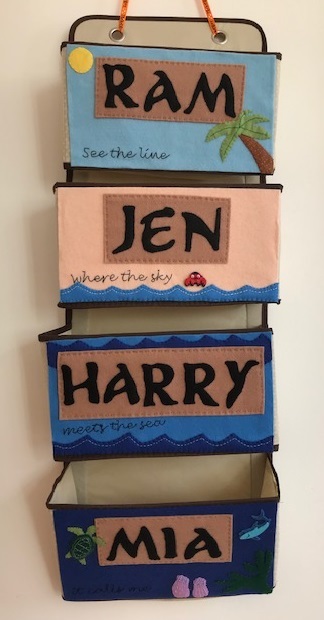 They worked out very well (we used this recipe from Red Ted Art) - my one mistake was to add some glitter for a bit of bling - this produced two sparkling children after bath time! In the afternoon Harry went out to a party so I stayed at home with Mia. She's always been a Daddy's girl, but lately she's been a bit more affectionate towards me, which is nice. We had a really fun afternoon, and I even managed to tempt her away from the computer games. First we did some cleaning in her room, she's great at tidying and she did a really good job. Then we worked on a collaborative art project. It was based on something that she's been learning about at school and she had a name for it, I think that it's called automatism. Basically she drew a big squiggle and we painted in the shapes together, we had a lot of fun and it was really relaxing! Then we carried on the art outside with chalk drawings on the patio before settling on the sun loungers with our books. Several times during the afternoon Mia turned to me and said 'we are spending lots of time together aren't we Mummy?' and I realised that was one of the reasons that I enjoyed the weekend so much. Lots of time spent doing things together (although of course there was individual screen time too, we aren't perfect!) I also made a real effort to put my phone down and live in the moment, hence why I don't have many photographs! We also spent plenty of time outdoors which always makes me feel better. I'm a very indoorsy person by nature, so it takes a bit of effort to get me outside, but it's definitely something that I need to encourage - especially when the weather lately has been so wonderful! What did you get up to at the weekend? Did you watch the wedding? It does sound like a fantastic weekend was had.